Hey everyone! In keeping with my Public Action List, today I have swatches of one of the piCture pOlish colours I bought recently. 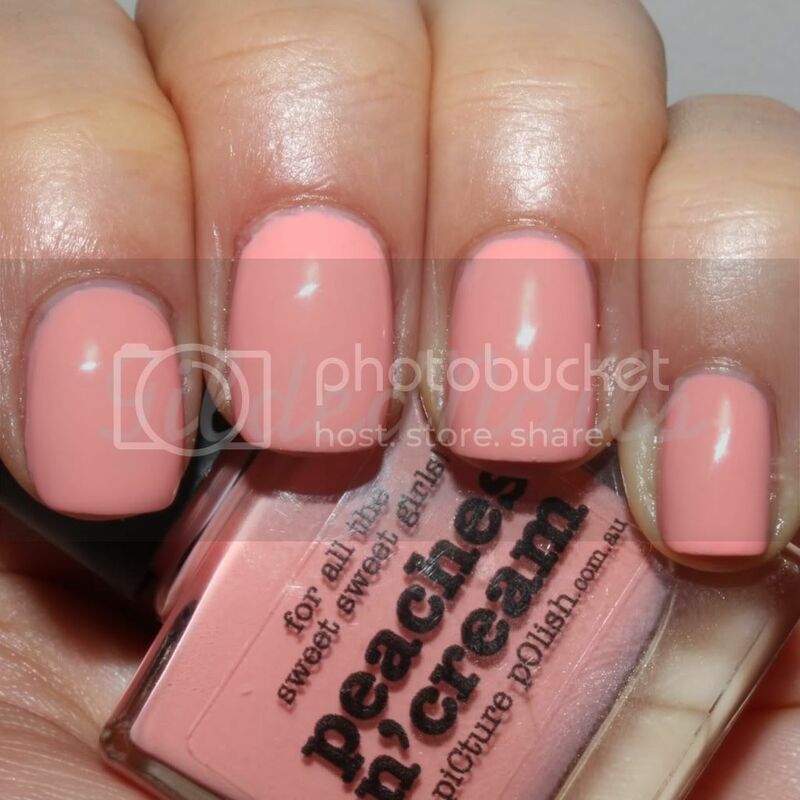 Peaches n' Cream is as the name suggests, a gorgeous, creamy, light pastel peach. The formula on this one was a little bit thick, which meant that I had some issues with patchiness, so used three coats to get even coverage. However, this is a common issue with pastel creams, so it wasn't a big deal to me. I then added a coat of Poshe and the result is beautiful! I kept staring at my nails all day today because they just looked so pretty!! This is the first piCture pOlish I have tried and I'm quite impressed! I also bought Denim and Coral Reef which I will try and swatch over the next week. What do you guys think??? Great color on your nails. I have ordered Ozotics from them and always wonder about their other lacquers - its good to see their overall selection. Great shade for your skin tone too! Love it! I'm really liking these peach shades lately. Must be the warm weather. This is a pretty one. I have to dig some out that I have! Beautiful! It looks quite similar to Essis Van D'Go. 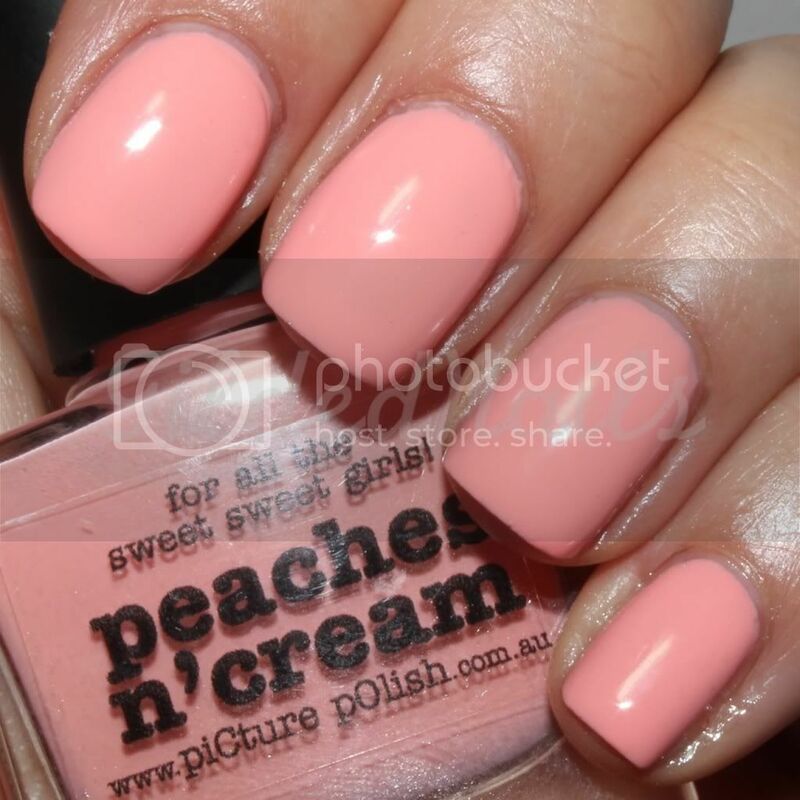 Love this shade! Do you have Essie Van D'Go? I'd be interested in seeing a comparison!